Your photo galleries are sublime. You've spent hours sorting and editing your shots into individual masterpieces, and are ready to take the next step—publishing them into a printed collection of your art. 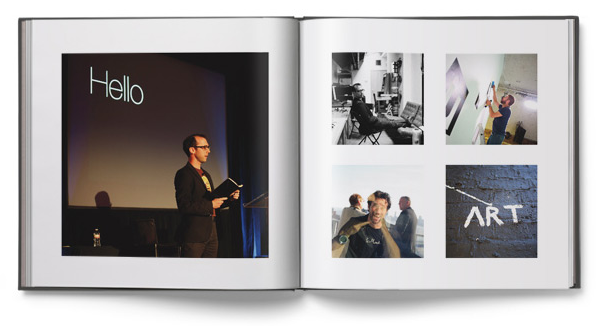 Before you jump online and start pouring your pictures onto the blank pages of a photo book, take a look at this video from Blurb. In this video, learn graphic design secrets to create a clean, high quality photo book — such as how to avoid falling into the “gutter”. 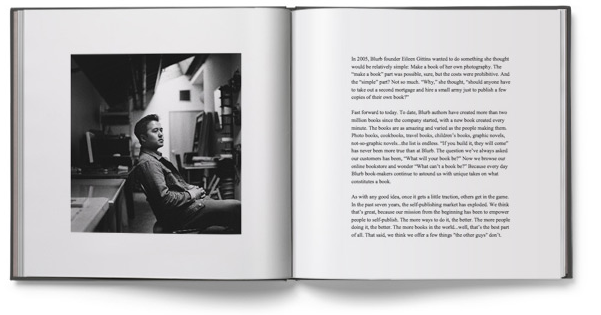 Blurb will help you turn your photography into the magnum opus that graces your coffee table, as opposed to just another book of pictures. Ready to start publishing? Save 20% on photo books with code OCT20%, which is great news if you're thinking ahead to the holidays and making your work of art into a gift to send. Special offer for new customers only—save 25% on photo books with code OCT25%… even better for those of you who are new to Blurb books. Just don't wait because these deals end October 31st.